Ready, Ames, Fire: The Iowa Straw Poll Ames, Iowa, hosts the GOP presidential straw poll on Aug. 11. Yes, it's mostly a scheme to raise funds for the state party. 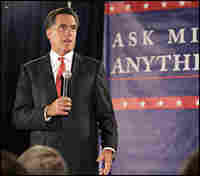 But it also matters: A surprisingly strong or poor showing could make or break some candidates' campaigns. 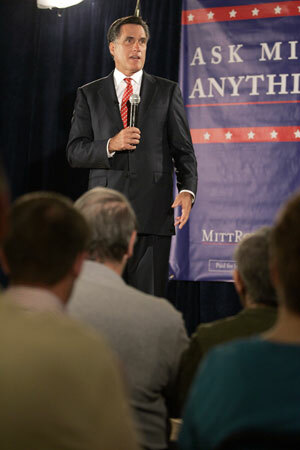 Mitt Romney, seen here campaigning in Ames, Iowa, has spent freely in the state. He's expected to win the Aug. 11 straw poll. But he also has the most to lose.